Active member of Bras for a Cause, which has been mentioned in many articles. Robin grew up appreciating the importance of owning real estate. Her mother was a real estate agent, then a broker with her own brokerage. At age 20, Robin purchased her first home. By the age of 24, she had purchased a duplex, a triplex and an 8-unit apartment building. Robin believes in investing and owning real estate. 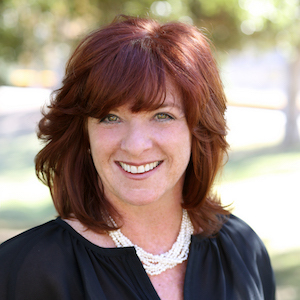 A Burbank resident for the past 23 years, Robin has developed strong relationships in the community that benefit her clients. A homeowner and investor herself, Robin has a well-developed appreciation for the needs and concerns of the real estate client. She represents both buyers and sellers in every price range with a unique understanding of the marketplace and the tools that can produce results. If honors, awards and abundant thank-you letters from grateful clients are a measure of success, Robin has certainly found her niche. She has earned accolades every year since she entered the real estate business, along with consistent respect from her colleagues and enthusiastic repeat and referral business from her clients. She is a Certified Luxury Home Marketing Specialist and a Senior Real Estate Specialist (SRES). Robin’s clients repeatedly comment on her professionalism, high standards and “world class service” from the beginning of the transaction to the end. Her trademark integrity, skillful negotiation and commitment to professional development mean her clients get the best results, every time. She puts her clients’ needs first and believes that’s the winning strategy for herself and Compass. Behind the guarded gates in the Hallston Community, this executive home is perched on a large corner lot providing you the ultimate in privacy and breathtaking views. The entry has cathedral ceilings and a circular stair case with exquisite railings to the second floor. The numerous windows throughout fill the home with warm, natural light. With over 4,500 sq ft, this home invites celebrations and entertaining. Floor to ceiling windows in the family room welcome in the morning sun and in the evening, they offer incredible views of sunsets and city lights. On the backyard patio in the morning, enjoy the crisp air while the birds chirp and in the evening, while entertaining your guest in the chef’s kitchen, treat them to the beautiful sunsets and views. At the end of the evening, retreat to the master suite and submerge yourself in the jetted tub while soaking in the sunset.